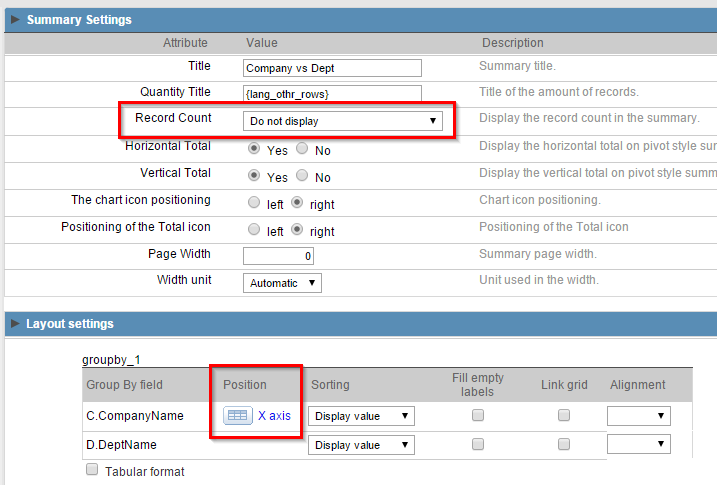 This example shows how to create a report with the summary and chart on the same page. 2. 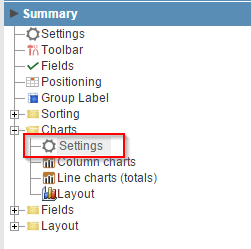 Open the Group By folder and click on “Static Group By >> New Group By”. 3. 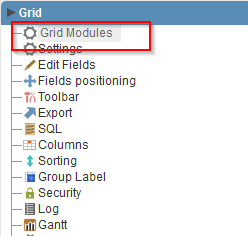 Select the fields: C.CompanyName and D.DeptName and click in Turn On/Off . 4. Click in Totals and then click on Fields. 5. Select the R.ValueRelease field and then click in SUM.